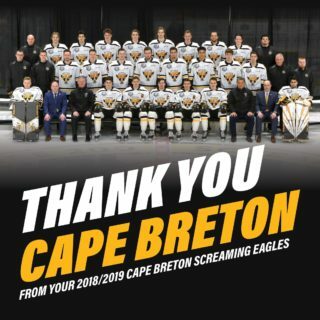 The Cape Breton Screaming Eagles have reassigned six players from the club’s training camp on Monday afternoon. 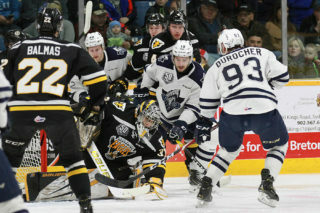 The players are forwards Kyle McGrath and Mason Beck, defensemen Alex Falardeau and Matt Power, and goaltenders Daniel Thompson and Jacob LeBlanc. 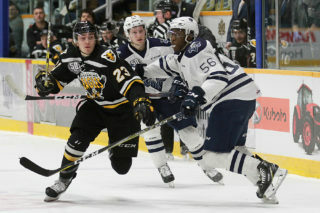 The Screaming Eagles have also returned forward Samuel LeBlanc to the Blainville-Boisbriand Aramda. 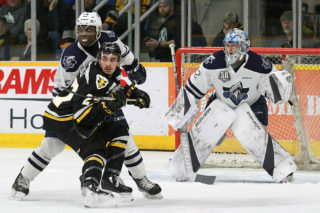 LeBlanc had been attending Screaming Eagles on a loan. McGrath will be placed on mandatory 19 year old player waivers on Tuesday. Some of the reassigned players will remain in training camp for the following days before reporting to their new teams. The Screaming Eagles roster now stands at 23 players (two goaltenders, seven defensemen, and 14 forwards). The official roster for the beginning of the regular season has not yet been finalized. The players remaining in training camp are listed below.